It’s summertime. It used to be a time of sending post cards to family and friends. Now, it’s just another Insta-moment. It made me wonder, though. 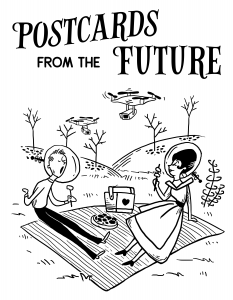 Imagine yourself just 5, 10 or maybe 15 years in the future – what would you write about on a postcard? So, I’ve written a series a imaginary postcards, to imaginary family members and friends, covering drones, IoT, healthcare, selfdriving cars, AI etc. I’m trying not to be completely wildly extrapolating, even if these are living in an imaginary future – but I might be completely wrong, too optimistic or too timid. As such, please consider these “postcards from the future” as conversation starters. And, please, let me know if you think I’m wrong (or right) about something!